Your Our Genertaion doll can cruise around in style with this Our Generation My Way and Highways 4x4 Jeep (Doll sold separately). 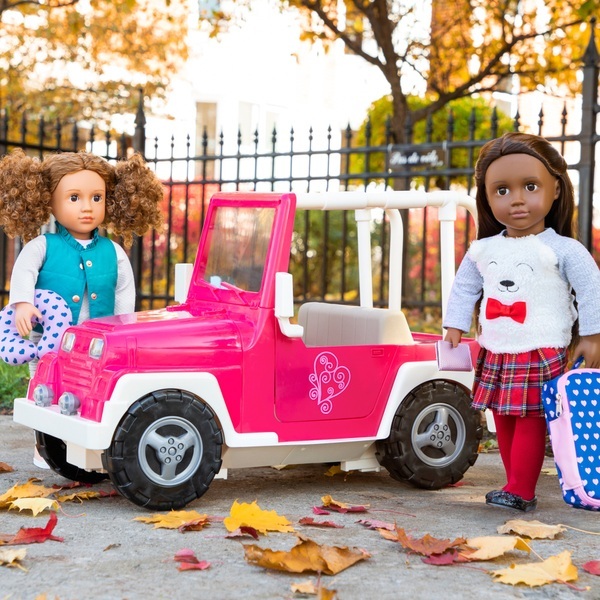 Your doll fits right into the driver's seat to head out on the open road. Accurate details make this vehicle look just a real rugged but stylish 4x4 of your very own. Our Generation girls are going places these days, don't be left behind!